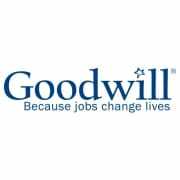 Position Description: Support Marysville Goodwill Job Training instructors by providing an extra set of hands in the classroom. Assist with preparing the classroom and class materials, starting/ending class in a timely manner, helping with group activities, working with students who need extra guidance, and providing examples to students as needed. Help students log on/off computers and Rosetta Stone software. Answer questions regarding Rosetta Stone language software functionality. Assist students with navigating the WorkSource job search resources. Help students resolve basic problems in the usage of job search software.